Is this the super-addictive PS4 game we've all been waiting for? Last week, Sony Online Entertainment – of Planetside and Everquest fame – launched this haunting teaser site. It revealed itself to be the official web page of H1Z1, a post-apocalyptic zombie MMO set in a vast, forested wasteland where, according to SOE president John Smedley: "the zombies aren't scary. People are scary." To be clear: that's also the elevator pitch for DayZ, the Arma II mod-turned multi-million-selling PC standalone that's reached Minecraft levels of YouTube saturation and exists in the peripheral vision of those who don't even follow games. It's that, but on PS4. DayZ overlord Dean "Rocket" Hall has actually said in the past that parent company Bohemia will eventually release DayZ on PS4, but with the PC Alpha still trundling along and a Beta seemingly not even on the horizon yet, you can bet that SOE will be trying to harness that market before DayZ can get there. I strip-mined H1Z1's reveal video and posted the story expecting a wave of cynicism in response. None arrived. Instead: heart emojis. Pleas for imminent release dates and public betas. One Facebooker summed it up most succinctly: "DayZ for PS4 – F*CKING OATTTHHHHH". Fun game: watch that video without headphones, then spend the rest of your life reassuring everyone who overheard it that you're not going to one day wear their faces as masks. There are differences between Sony Online Entertainment's zombie MMO and Rocket's. H1Z1 will let you build forts, and also burn those forts down to flush players out. To maintain a driveable car you'll need to find or make fuel, charge a battery ("maybe you'll have to wait for a lightning storm or something", suggests Smedley) and salvage working spark plugs. That all sounds really original, until you read Rocket's development roadmap and realise all of this is something he's also planned. It's just a case of who can implement it first - will H1Z1 come out before DayZ leaves alpha? The SOE president also boasts: "We have an engine that can outperform anything that I've seen from other zombie survival games", promising that it'll blaze a technical trail. If nothing else this should mean you'll be able to climb ladders without fear of dying a slow and painful death. Remember when you used to look at screenshots and go, 'Cool, a zombie'? Now, you could argue that at this point iterating on another game's blueprint is fair game. Look at Just Cause 1&2, Dead Space 1&2, and Fallout 3 & New Vegas for notable examples of "Look! It's that game you like, but again!" The mental leap into a mindset where it's okay for devs to do this with properties that aren't their own isn't Olympian after you've played Bioshock numbers one and two. But here's the thing. If you write a novel about an enigmatic party host with a thing for girls named after flowers and set it in the 1920s, you're not contributing to the 1920s-party-hosts-in-love-with-Daisies genre, you've written the Great Gatsby. If you make a movie or TV show starring Jason Bateman about an over-accommodating family man who deals with being taken advantage of by making acerbic remarks, it's not a genre flick – it's Horrible Bosses. Or Identity Thief, actually. Or Arrested Development. Or Hancock. Or The Change-Up. You know what? This was a bad example. Dead Space 2 was a terrific game, but one intended to give you an augmented and improved version of its prequel's experience. The point is that the apple doesn't fall far from the tree in games, even compared to the notoriously focus grouped movie industry. 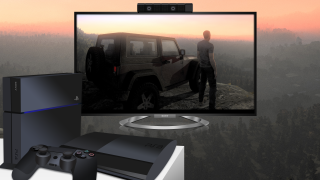 Yes, we want DayZ on PS4 and H1Z1 looks capable of facilitating that. But when we get behind a project like this, we're saying "Let's put innovation, progressive thinking and striking creative vision on ice for a bit, and really hammer this zombie MMO thing out until we've got it working properly". As much as I want to play a refined version of that experience, that thinking worries me. Because if H1Z1 delivers that, what about the unannounced game five minutes up the road which delivers an even more refined version of it? There are still, in the year 2014, studios trying to perfect the WW2 shooter, and that's a sobering thought for us all. Writer bio: Phil Iwaniuk is games editor at Official PlayStation Magazine UK. Look out for his debut novel, The Great Gatsby, in stores soon. Is Sony's Driveclub PS4 delay the death knell for a genre?